Blue Ant has today announced that its HD Sportsbuds headphones are available in the UK, having first gone on sale in the US earlier in the year. With the promise of ‘wireless’ in-ear buds we wouldn’t have to take out from the start of a training session until stepping out of the shower, we decided a quick review was in order. Blue Ant may not be as much of a household name as brands like Beats or Sol Republic, but we’re no stranger to the name, both for headphones and headsets. And with the PUMP HD now being offered for sale directly from Apple in the UK for £109 ($129 in the US), the brand’s exposure looks set to increase. A spokesperson for the company told me that the UK is a stepping stone to Europe for the Sportsbuds, although exact availability in other regions wasn’t confirmed. 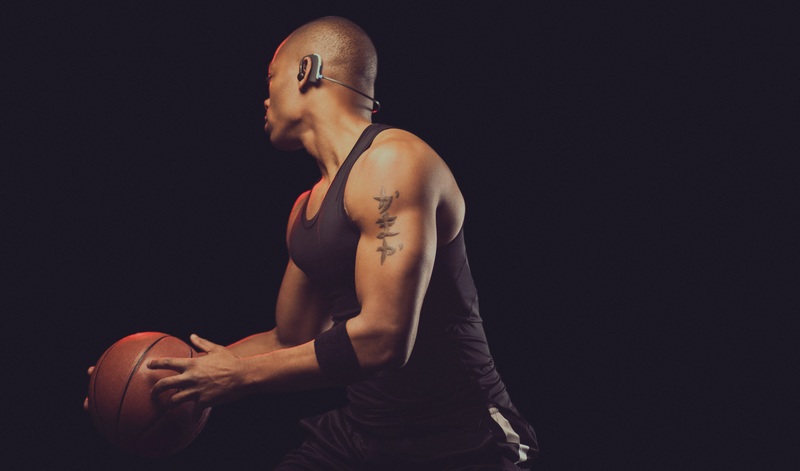 Unlike most in-ear headphones, the PUMP Sportsbuds have been designed with physical activity in mind and boast water, dust and sweat-resistance. Officially, they’re IP67 rated for dust and water – meaning they’re totally protected against dust and can handle immersion in water at depths of between 1cm and 1 metre. So, the Sportsbuds aren’t really made for taking a dip in your local pool (unless you plan on keeping your head dry), but feel free to wash them clean after a workout or wear them in the shower. 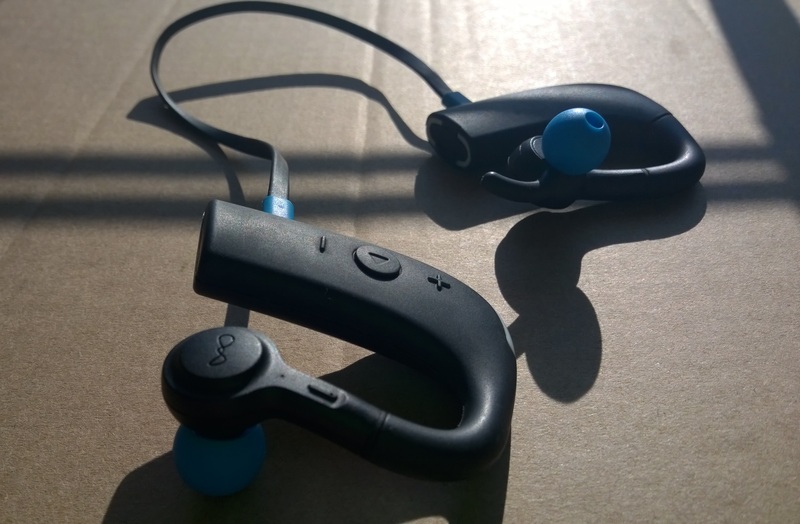 As well as all sorts of ingress protections, the Sportsbuds have been designed to hold firm during physical activity and arrive with a number of differently sized earbuds. There’s also some ‘awareness’ tips that let in more background noise for greater awareness around you; these come in just one size. 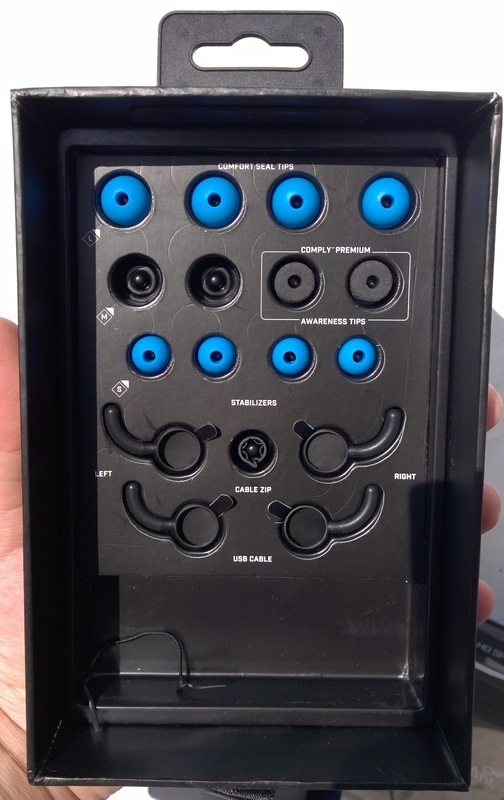 While they’re referred to as ‘wireless’, there’s a flat rubber cord connecting the two earpieces, which really was the only reason that the earpieces did ever move during exercise – it almost felt a little heavy, but there’s a cord tightener which helps with this. There are also optional stabilizers for additional help with keeping them firmly in place. The downside to the ruggedness and staying power is that the Blue Ant PUMP Sportsbuds aren’t the sleekest looking thing you’ll ever see, but if you can handle the slightly more ‘chunky’ design then the staying power in your ears is worth the sacrifice. No one looks good mid-workout anyway. 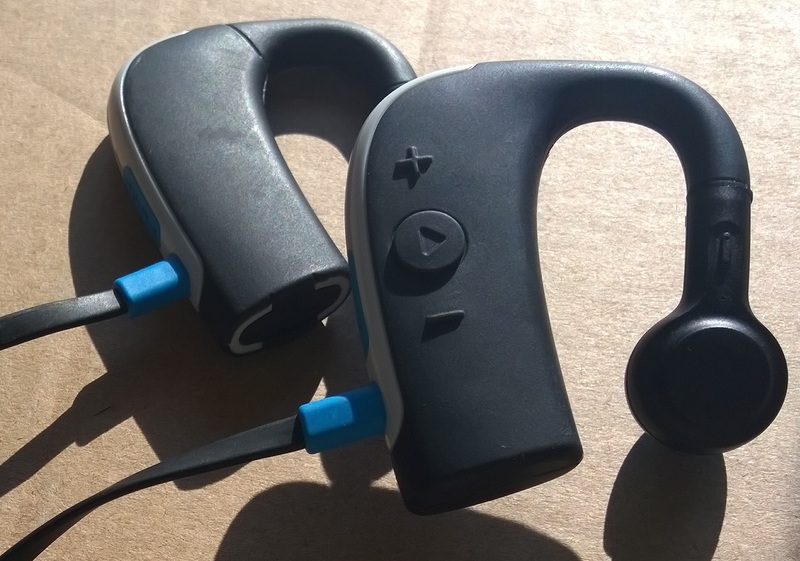 As well as functioning as headphones, they can also be used for taking calls and have volume and call control buttons on the side of the right earpiece. It’s worth spending a bit of time trying the different size earpieces if you’re in doubt as to the best for you; a good fit makes a big difference to the overall comfort here and helps them to stay in place more firmly. On that front the PUMPs do well and they certainly stayed in place better than a regular pair of headphones during a run. I’d definitely recommend using the stabilizers too, the way they sit against your ear really helps to keep both earpieces rooted firm. Comfort-wise, I found that after a couple of hours I was ready to give my ears a break but noticed the headphones more when just wearing them around the house rather than working out. Shooting pain in other parts of your body tends to distract from minor discomfort of the ear, it seems. 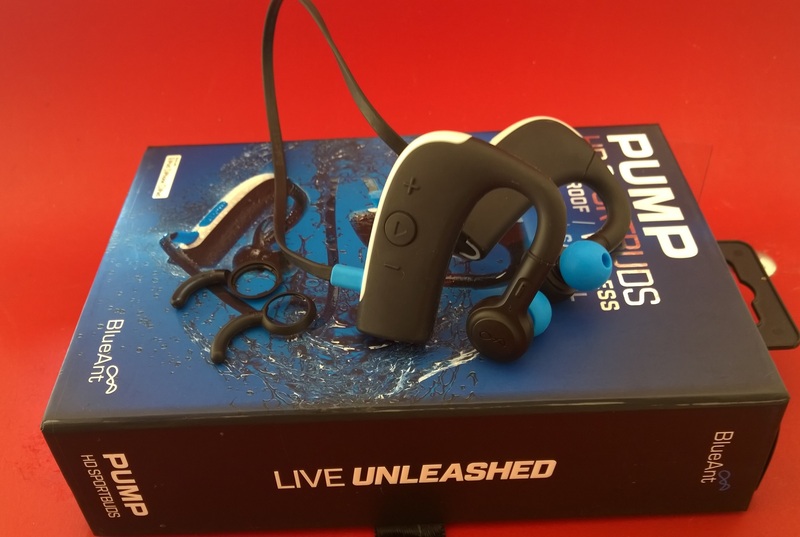 Pleasantly, the actual sound quality from the PUMP HD Sportsbuds was punchy and bassy, which is to my personal taste and useful if you’re out and about in noisy environments, but it won’t suit everyone’s ears. That volume and bass come at the cost of clarity, which could frustrate musical purists. For me, it was just fine and I’d value the PUMP HD’s other strong points against audio fidelity while working out. The set-up worked well for calls too, although I didn’t find the controls particularly convenient to operate when accepting or ending one. I never quite seemed to be pressing the button on the first attempt. Quality-wise, I could always hear the other person well, but I sometimes got reports of excessive background noise, so it really depends on your surroundings. The PUMP HD promises an eight hour battery life, and pretty much delivers, varying slightly depending on what volume level you’re listening at. Charging is simple enough using a microUSB, but remember to fully close the flap that covers the port on the buds as they’re not waterproof while it’s open. Blue Ant’s PUMP HD Sportsbuds do a great job of staying firm if you take the time to get them as snugly-fitted as possible and deliver a hefty kick of bass to power you along when your energy is lacking. Plus, they’re simple to clean if you get them all sweaty. Nonetheless, they aren’t going to be for everyone due to the slightly chunky design and £109/$129 asking price. That’s not particularly expensive for a primary set of headphones, but it’s perhaps more expensive than you’d like for a pair that you could only end up wearing at the gym. Still, if your daily workout is a big part of your life, £109 might not seem too excessive at all.